A brief trailer premiered this weekend on WGN America during the unfortunately abysmal premiere of Brannon Braga’s new series Salem, for another production coming to the network this summer. 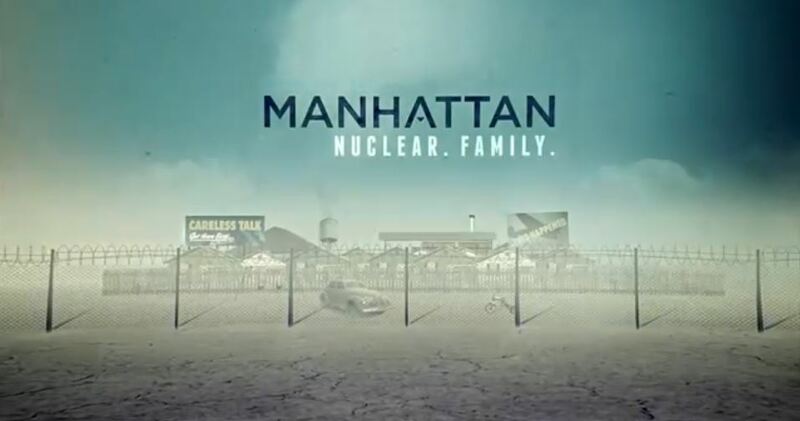 That new series is Manhattan, and it follows Salem as the second original scripted series for WGN America. Both series are billed as historical fiction, but Manhattan appears to fit the genre better than could be gleaned from episode one of Salem, at least based on our first look. The sets for Manhattan look great, and the actors look like real people from the era. Manhattan will star John Benjamin Hickey (Law & Order, In Plain Sight), Daniel Stern (Home Alone, City Slickers), and Olivia Williams. 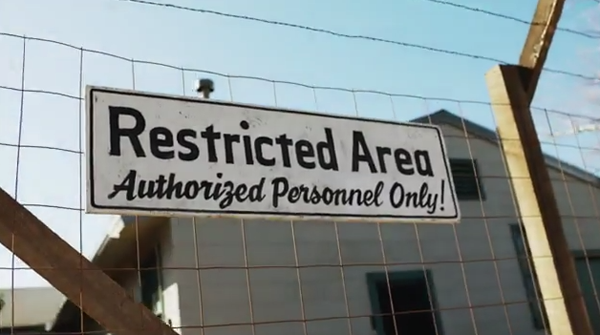 The series focuses on the lives of the scientists involved in the Manhattan Project who secretly developed the first atomic bomb in Los Alamos, New Mexico, between 1942 and 1946. The big selling point is Olivia Williams, an actress whose work stands out in all her film and TV appearances, often one of the only things worth seeing about the production (Rushmore, Dollhouse). Williams has headlined movies big and small, from The Postman to The Sixth Sense. And she can be seen in Spaced, X-Men: The Last Stand, and Sabotage. 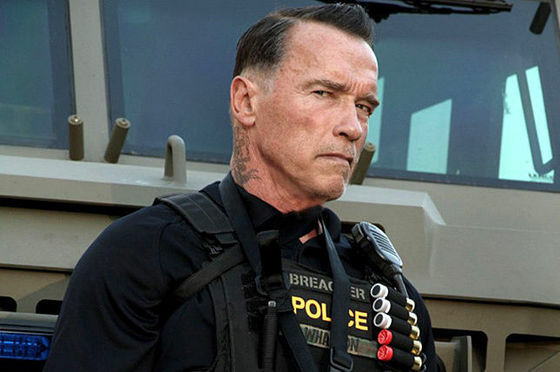 Arnold Schwarzenegger keeps pumping out the movies. Next up he’s a gruff Richard Marcinko-looking government tough guy leading a special ops team in Sabotage. If you like your action movies of the real-life drama variety, this might be up your alley. Look for Olivia Williams (The Sixth Sense, The Postman, Dollhouse) to star in this latest Arnold star vehicle, along with Sam Worthington (Avatar, Terminator Salvation), and Terrence Howard (Iron Man). The exploration of Mars has been the subject of many science fiction productions, especially science fiction thrillers. One of the best of these was David Tennant’s Doctor Who episode “Waters of Mars” where the good Doctor demonstrates the pitfalls of changing history when he rescues astronauts on a doomed mission to Mars. The original Total Recall with Arnold Schwarzenegger only used the Mars exploration as a MacGuffin of sorts, but the overall movie resulted in a film classic and the use of Mars as backdrop gave us a new view of the planet as envisioned by 20th century Earthlings. 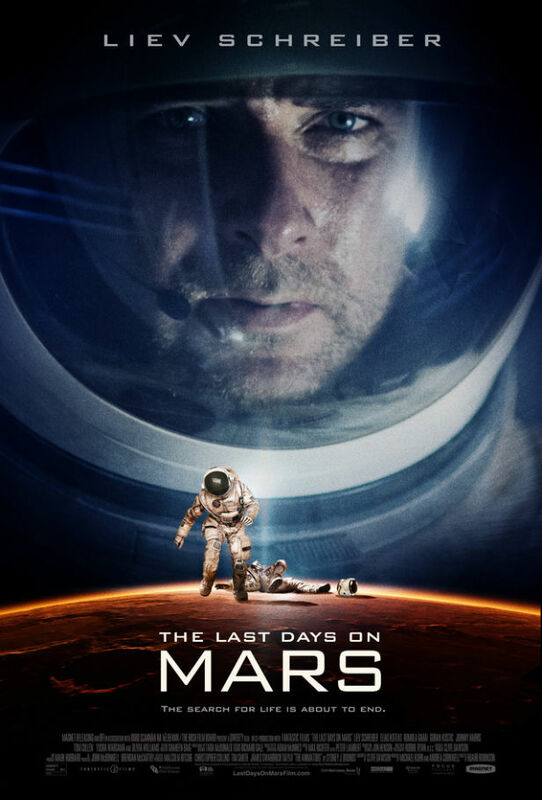 Other movies have used Mars as a backdrop—Gary Sinise’s Mission to Mars and Red Planet with Val Kilmer and Carrie Anne Moss both at least offered a good-looking landscape. The more recent John Carter of Mars blended fantasy and sci-fi. As with most John Carpenter movies, his Ghosts of Mars had a whole bunch of awesome, with a zombie/horror plot and great genre actors Jason Statham and Pam Grier. The American/Irish made science fiction film Last Days on Mars, which premiered this year at Cannes, gets its UK release this weekend, with the U.S. release date yet unknown. Directed by Ruairi Robinson and written by Clive Dawson, the trailer doesn’t give away a lot. It could be another forgettable B-movie Mars flick, or it could be something better. 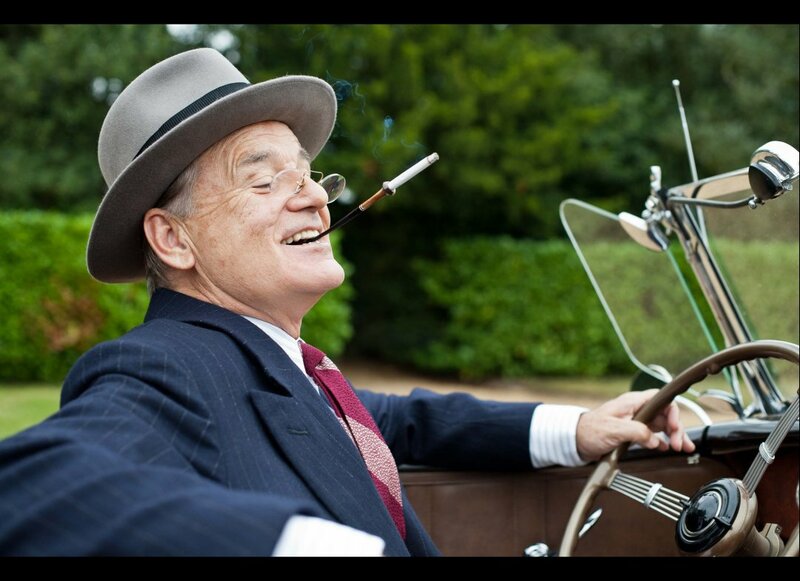 Bill Murray as President Franklin Delano Roosevelt? No matter how many dramatic roles Bill Murray gets behind him, fans of his big comedic roles in Caddyshack, Stripes, Ghostbusters, Groundhog Day, and Scrooged will always have a double take when he tries something new–even after notable dramatic turns in a pile of Wes Anderson movies including The Life Aquatic with Steve Zissou, and an Oscar-worthy performance in Sofia Coppola’s Lost in Translation. But an iconic role like FDR? It may make sense in the context of Hyde Park on Hudson, an irreverent look at arguably the best and most revered President in U.S. history. But every major figure must have his/her scandal movie.